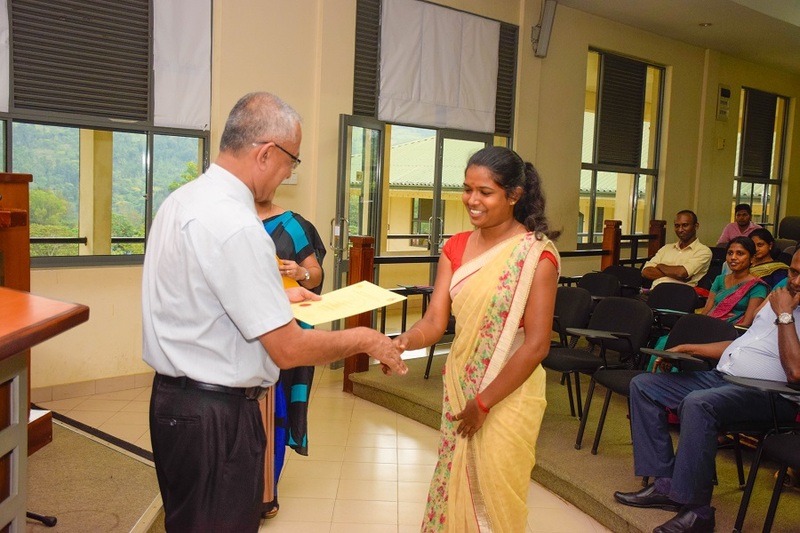 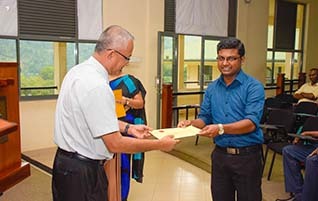 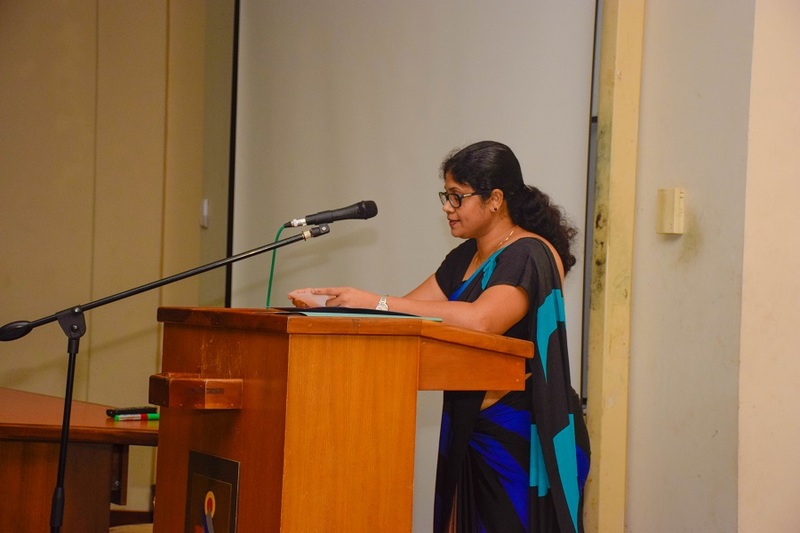 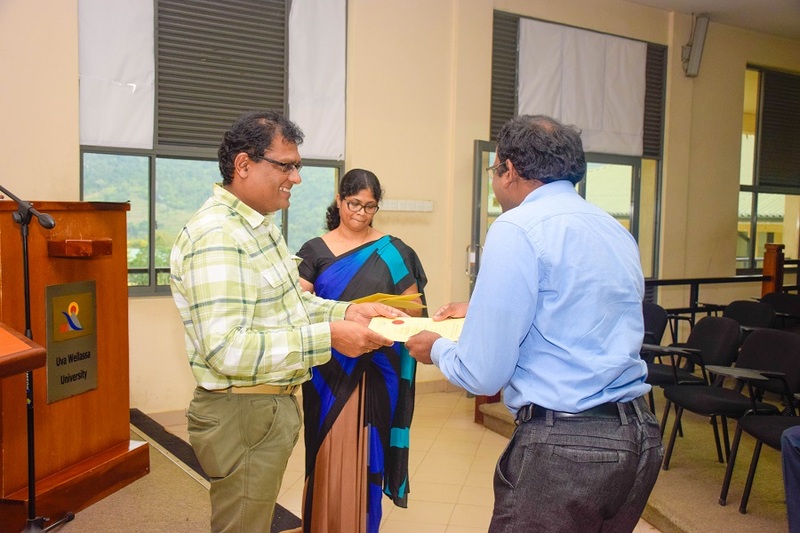 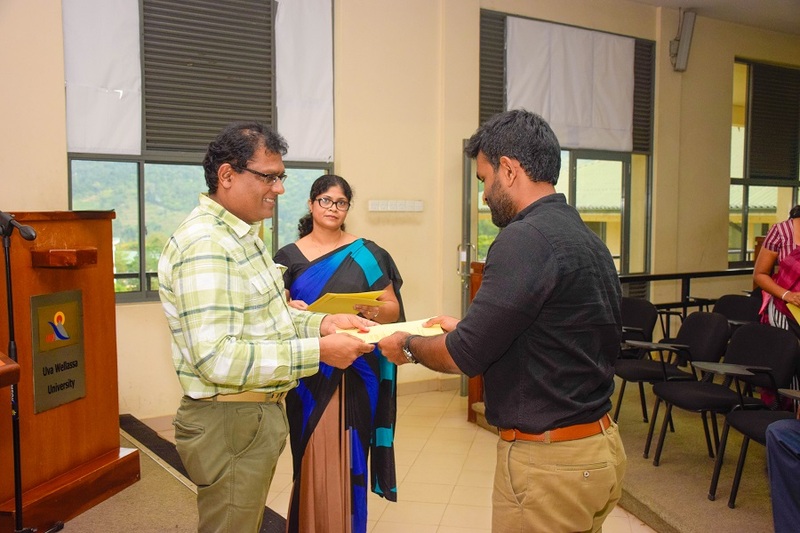 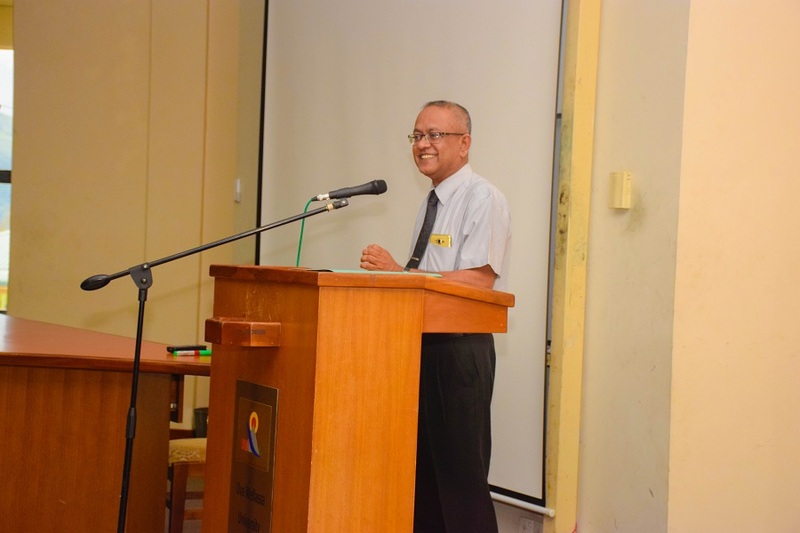 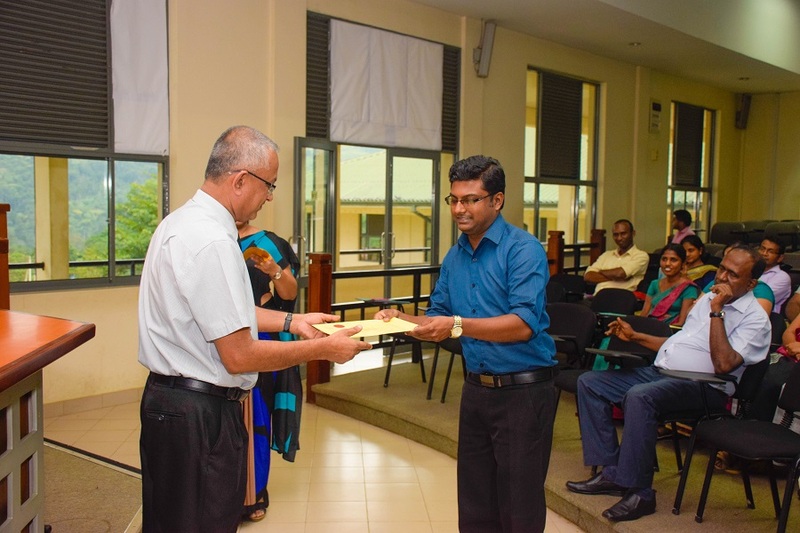 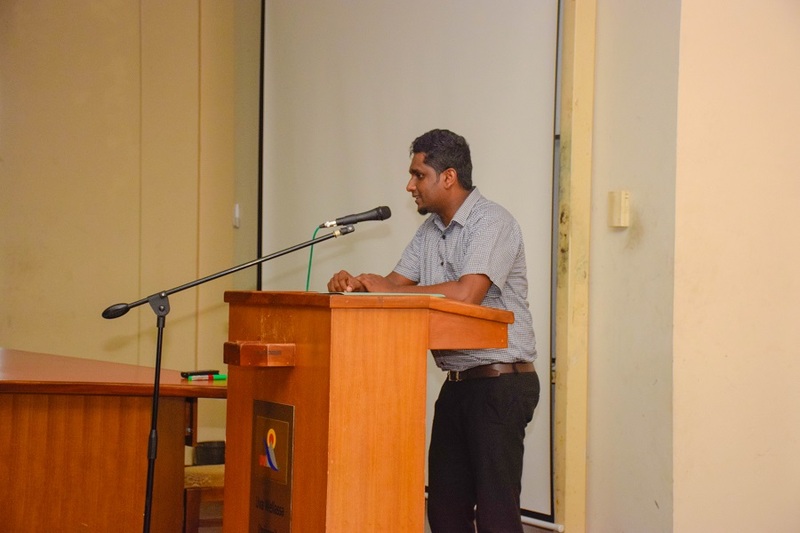 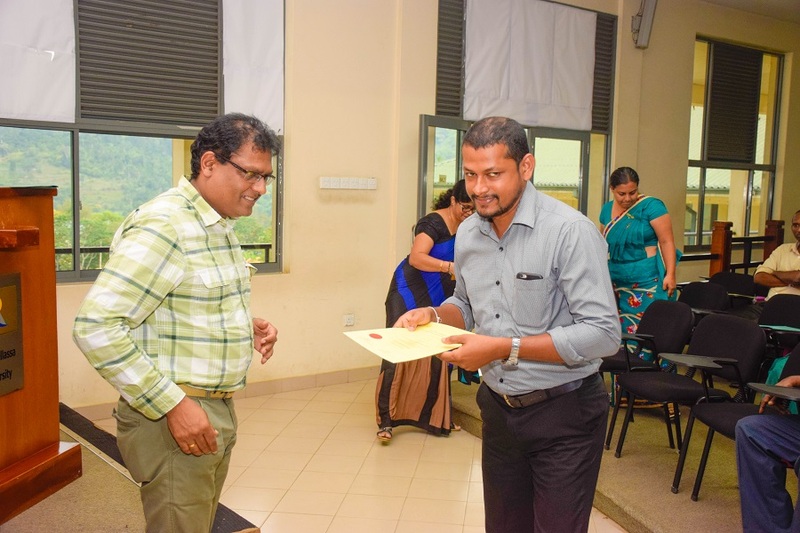 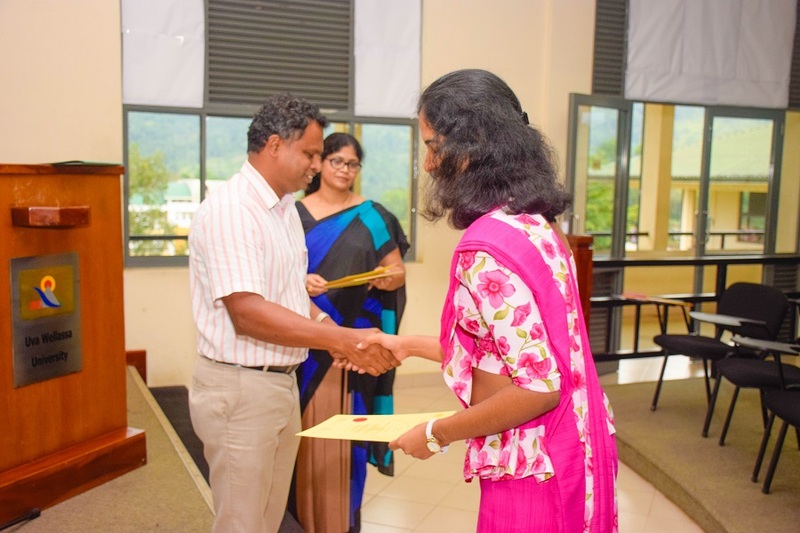 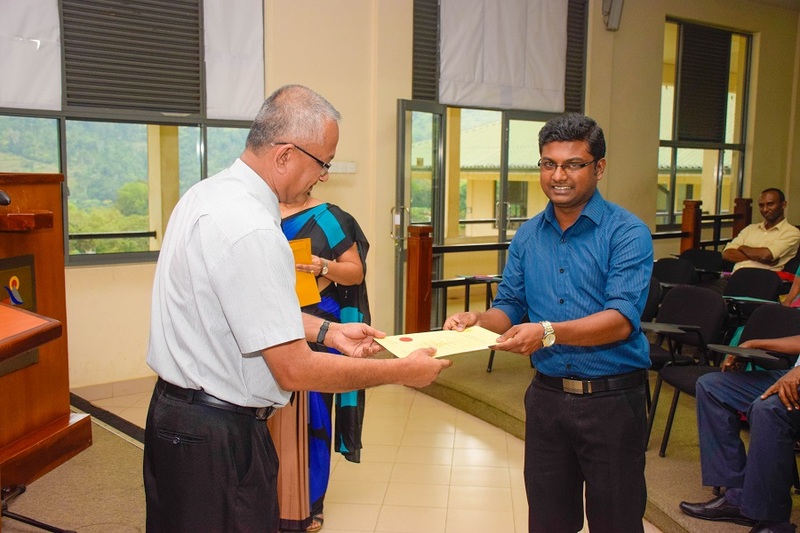 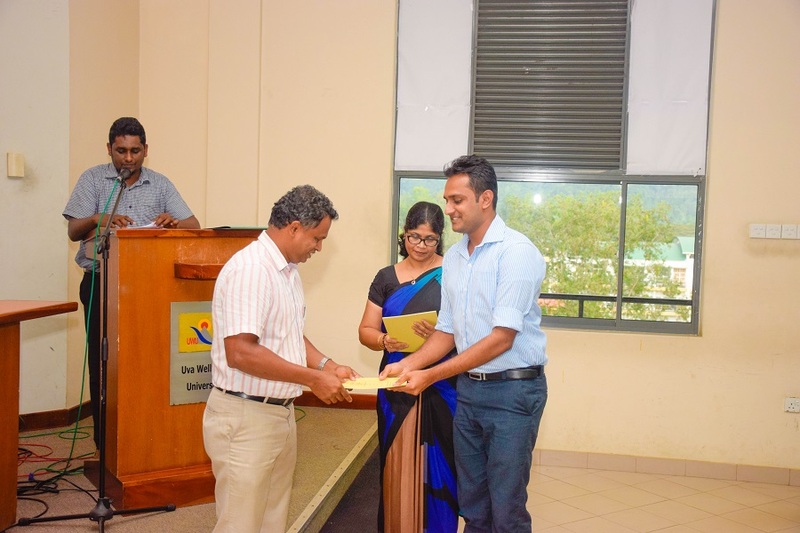 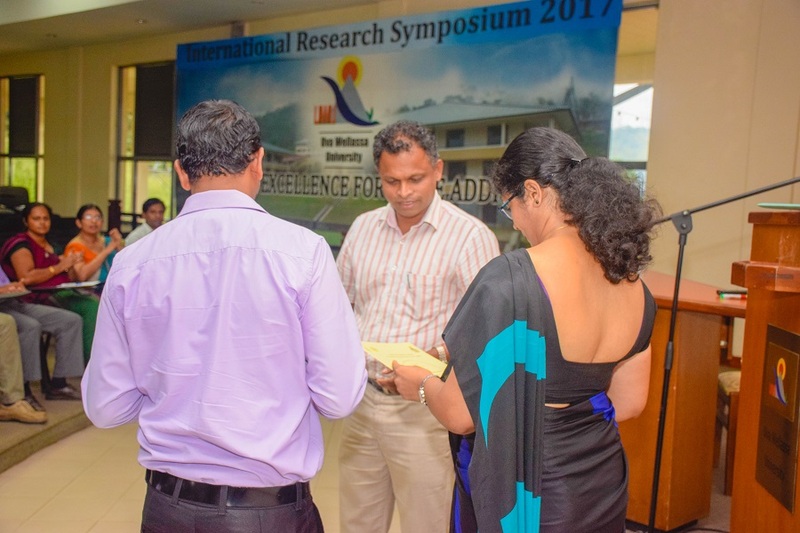 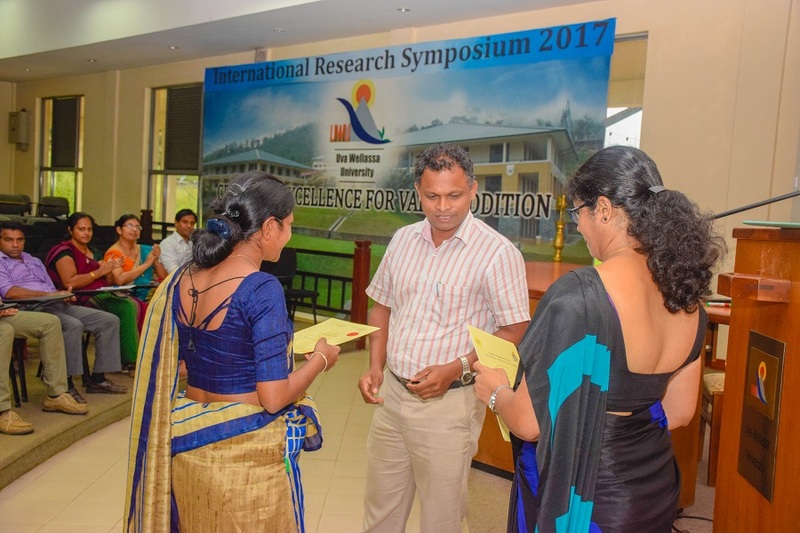 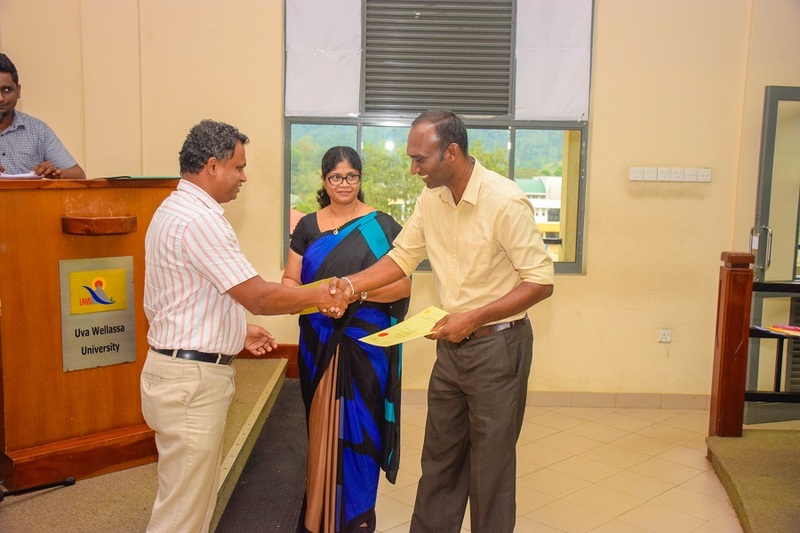 The awarding ceremony of the Sixth Certificate Course in Teaching in Higher Education (CTHE) was held at the Main Lecture Theatre of the University on 24th of October 2017 and the ceremony was graced by Dr. J. L. Ratnasekera, the Vice Chancellor of the Uva Wellassa University, the Deans of Faculties, the Registrar, the Heads of Departments and the Resource Personnel of CTHE course. 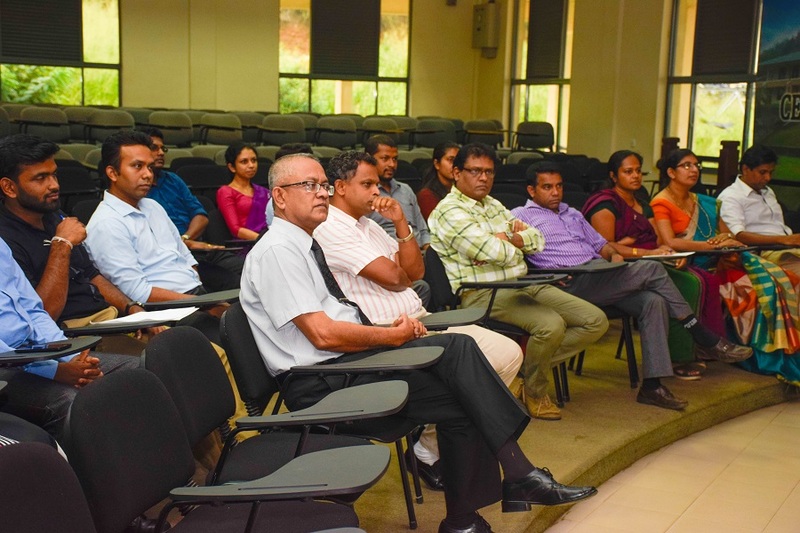 The sixth CTHE was commenced on 24th of March 2017 and concluded on 04th of August 2017 by completing 150 hours of lectures according to the HETC guidelines (CDP/Academic/04). 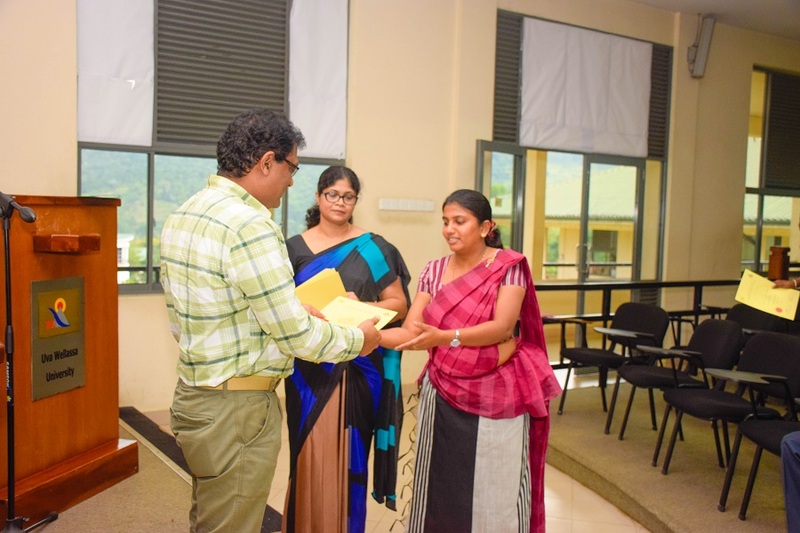 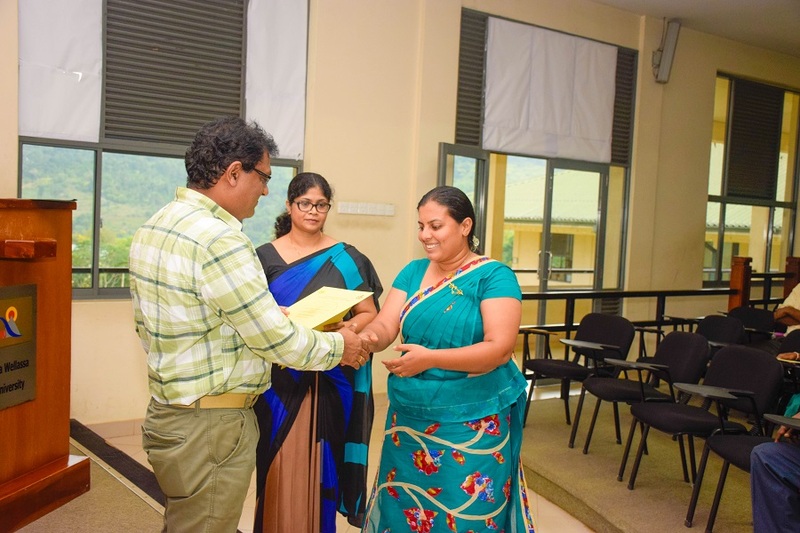 Academic portfolios submitted by the staff members were evaluated by a panel of resource personnel to the Induction Programme according to the standard Portfolio Evaluation Guidelines. 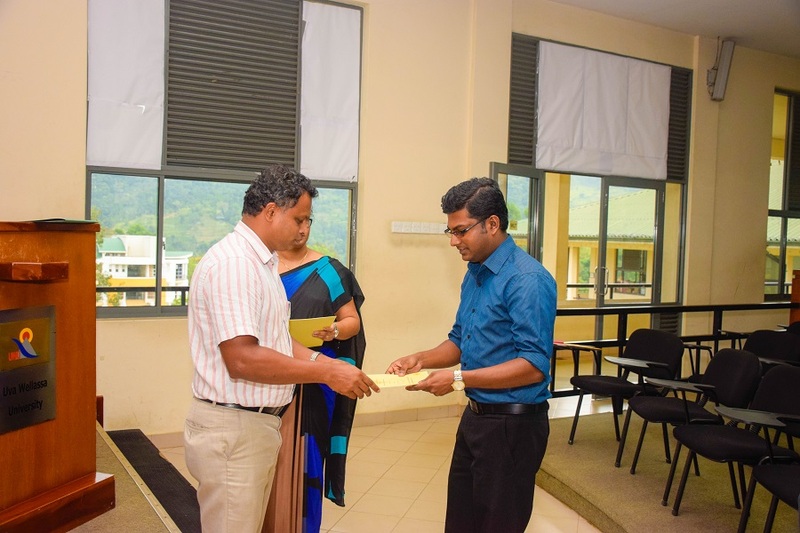 Twenty two staff members successfully completed the CTHE by completing the course modules and submitting the Academic Portfolio and are eligible to receive the CTHE Certificate with the effect from 03rd October 2017. 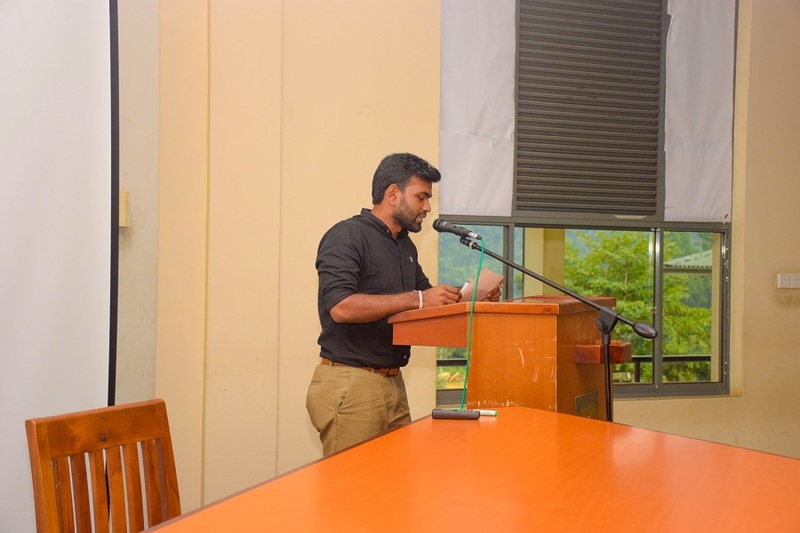 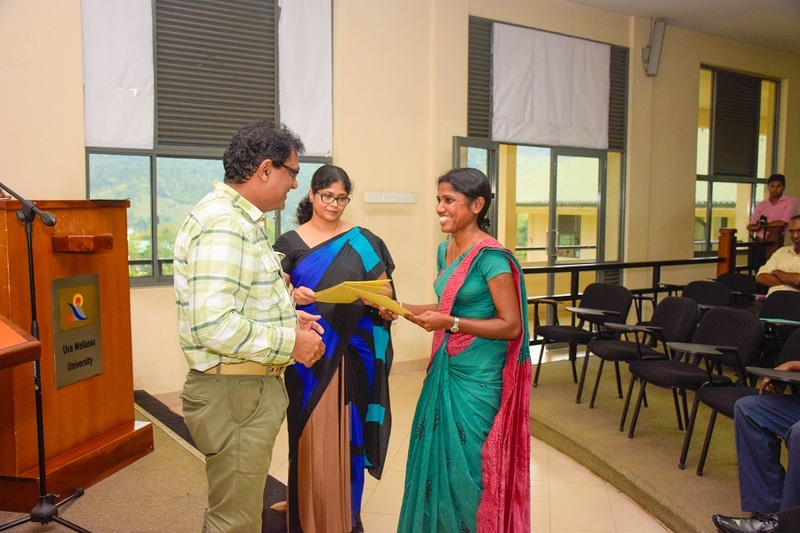 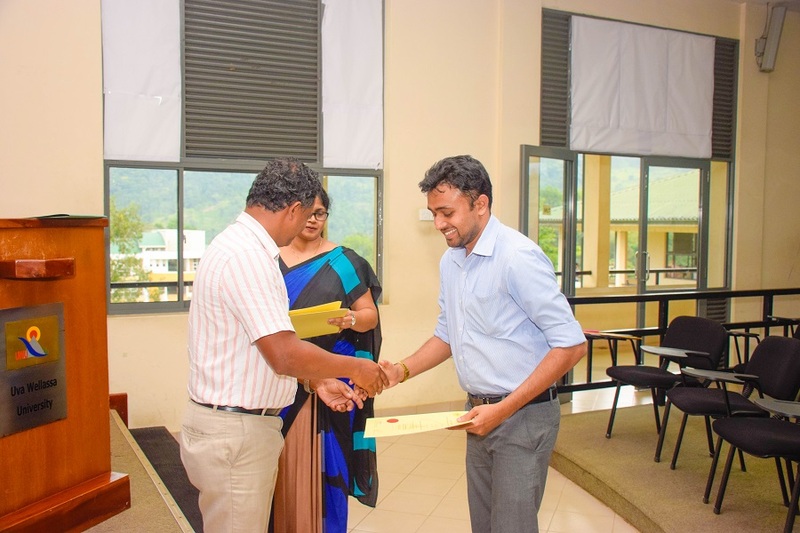 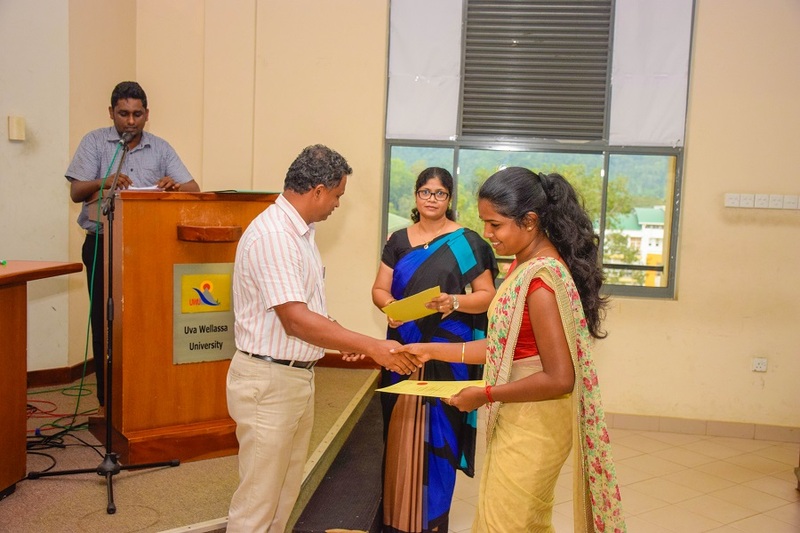 In addition, an awarding scheme including the Best Portfolio, the Best Presenter and Overall Performer for the CTHE Programme was introduced from the current program to reward the staff members who perform well in the CTHE programme. 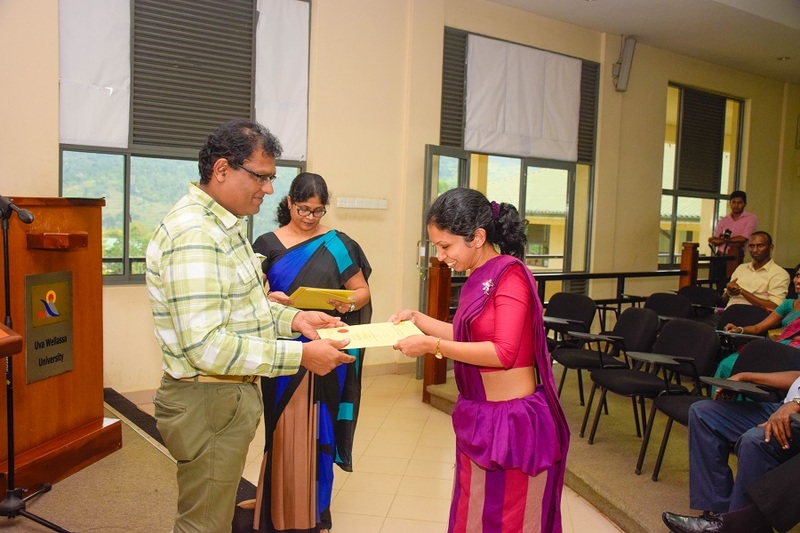 The list of awardees are as follows.